Now this track just oozes coolness, so not sure if "Small Town" is the best title for it - when I think of small town I think of rural England accompanied by the Postman Pat theme. Yeah, I'm weird like that. 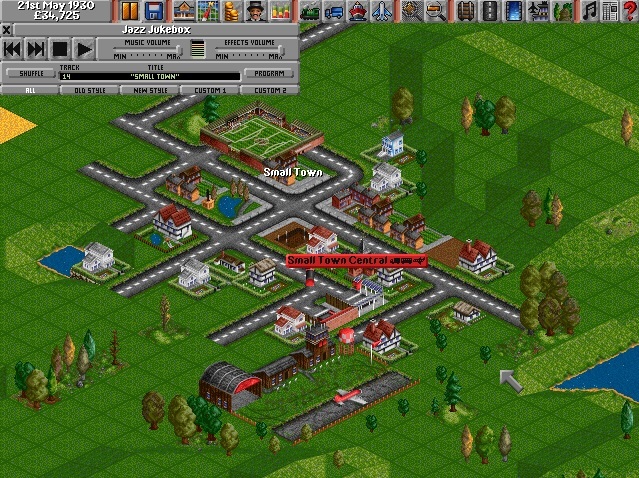 When you start a game of Transport Tycoon you start off with a lot of villages and small towns. It's only until you play the game for a while do your towns turn into large cities with sparkling skyscrapers. It really is a sight to behold and one of my primary motivators when I play Transport Tycoon.